Malnutrition is estimated to affect 10% of people over 65, with the number of people aged 65 and over projected to rise by nearly 50% over the next 20 years to 16 million in the UK. People suffering malnutrition are more likely to be admitted to hospital and to be dependent on carers and support services. 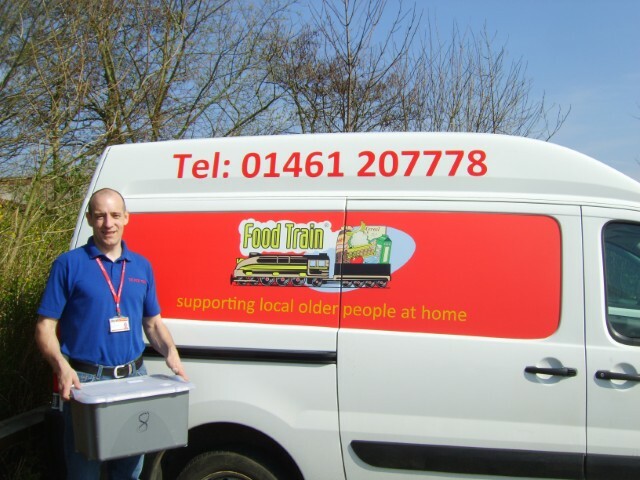 The Food Train was established in Dumfries in 1995, with the core aim of providing an affordable grocery delivery service to older people who may struggle to do their shopping as a result of age, frailty or disability. This not only enables older people to live healthy and independent lives at home, but also tackles social isolation and loneliness. Since this date, Food Train has expanded across Scotland to cover all of Dumfries & Galloway, North Ayrshire, Glasgow, West Lothian, Stirling, Dundee and Renfrewshire. It has also expanded the range of services on offer. These now include a befriending service; a home support service that helps customers with odd jobs they are unable to do by themselves; and a meal-sharing scheme, all delivered with a smile and a friendly chat. It has also brought out a Library Outreach service that delivers books to older people who would otherwise be unable to access these resources. SIS investment enabled Food Train to cover the costs of its national operations while it rolled out the Food Train model to new areas. Alice, aged 82, joined Food Train in April 2013. She lives alone, having been widowed some years ago and having no family in Glasgow. She was referred to the service following a fall in her home and a short hospitalisation. Although she did not injure herself seriously, she was left shaken and unable to negotiate the stairs to her third-floor flat. Alice was initially reluctant to use Food Train: before the fall she had been fiercely independent and enjoyed the social interaction that came with going to the local shops. Food Train gradually worked through her worries, working to build up a relationship and trust. Before Food Train, Alice’s diet consisted of tinned foods in very small quantities. A volunteer who was a recently qualified dietician helped her to put together a more balanced diet, with fruit, vegetables and easily-prepared meals. In addition to the benefits of grocery delivery, Alice has had enormous benefit from the service in terms of social contact. She admits to being very lonely, sometimes not seeing anyone for a few days at a time. She rings the office on average twice a week for a chat and the delivery helpers now ring her five minutes before the delivery is to be made to allow her time to put on her earrings and lipstick. Alice says “I think it’s a marvellous service. Everyone comes in with a smile. I think everyone should have someone helping them with their shopping; I don’t know what I would do if Food Train didn’t come every week”.